The old gas station after being razed. Six properties on Monticello Road have been purchased by CIU and the university is negotiating for two others for the purpose of revitalizing the corridor leading up to the CIU campus. The work on those properties has begun. 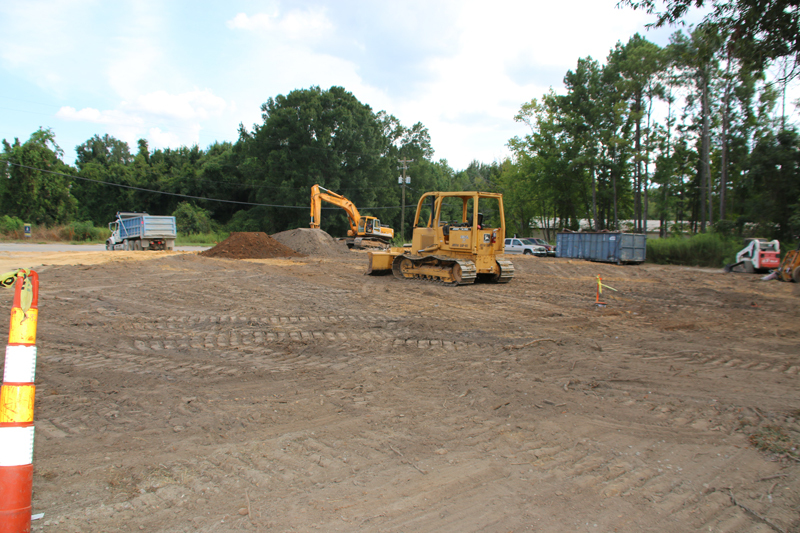 Right after Labor Day, a bulldozing crew earnestly went about razing what had become known as “the old gas station” at the bottom of Monticello Road just off Interstate 20. It had been out of business for years. A couple days later the former Virginia’s Grill, two doors down from the gas station was bulldozed. Meanwhile, CIU has begun bringing together community leaders and businesses and local government officials to direct resources to the economically challenged area of North Columbia and seeking support from legislators for a variety of grants. Of particular interest to the legislators are programs that provide upgraded broadband infrastructure to the area surrounding CIU, new business development assistance, and skills training. CIU is poised to help in these areas with the new William H. Jones Global Business & IT Center scheduled for completion in 2019. One of the purposes of the Center is to provide a corporate training room for Columbia area business professionals to act as a catalyst for business development especially along the Monticello Road corridor. It will also provide an opportunity for CIU students to advance their “revitalizing” skills in business in the United States or in international missions work.